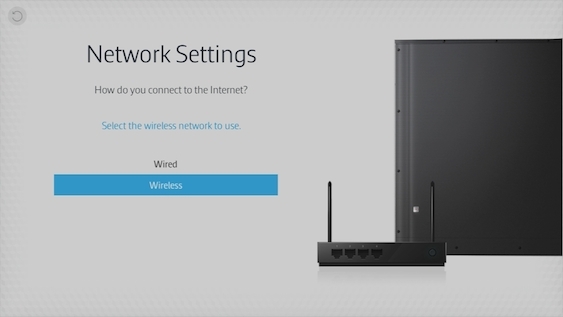 Make sure that you have the wireless router's SSID (name) and password settings before attempting to connect. 1. Press the MENU/123 button. 2. Select Menu in the upper left hand corner of the screen. 3. 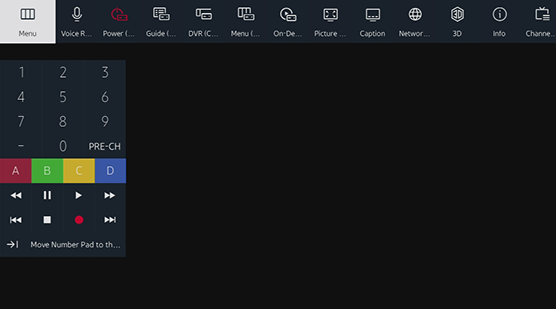 Select the Network sub menu. 5. 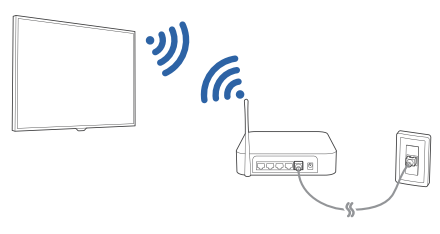 Select the wireless network connection method, and the TV will automatically begin to search for wireless networks that are in range. 6. 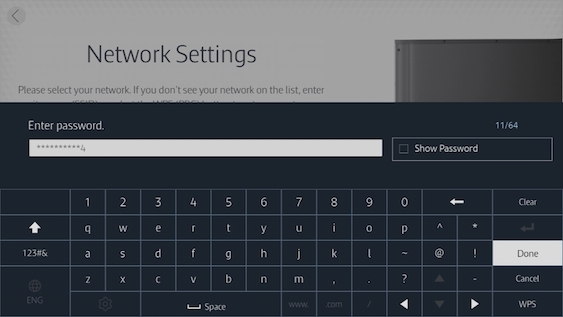 Select your wireless networks SSID from the list, and then click to connect. 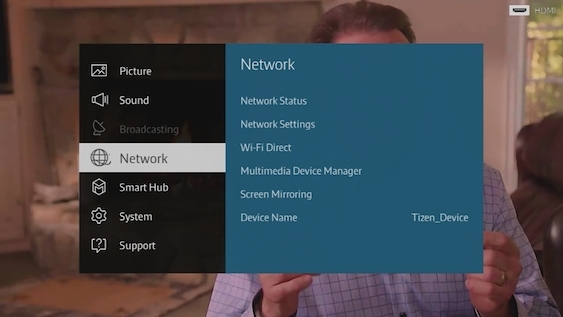 If your SSID is not broadcasting you can manually add your networks SSID by selecting Add Network. 7. If your network is password protected you will need to enter your wireless networks password, when finished select Done and click to continue. Note: If you have high security on your network or need to setup your network information manually use the navigation pad to select IP Settings, switch to Manual, and make your needed adjustments. • The TV will attempt to connect to your network. 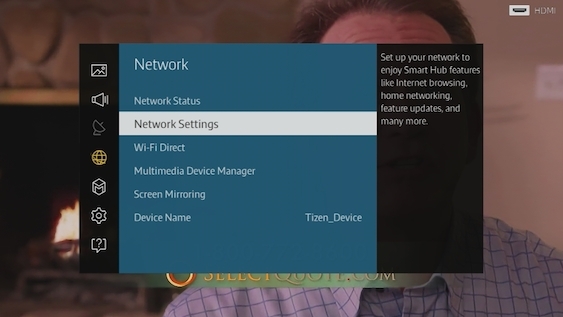 If the test is successful OK will be highlighted, click to exit to the network settings menu. • You will return to the Network menu. Press EXIT to leave the menu. 8. 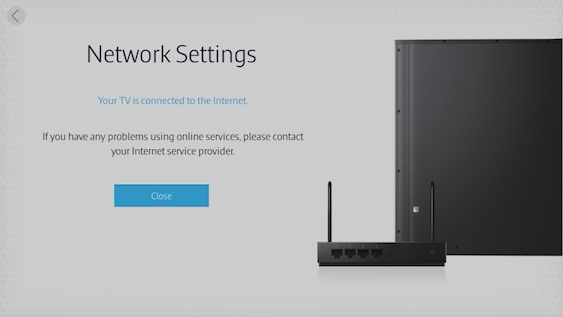 Your TV is connected to the Internet, select Close to exit.